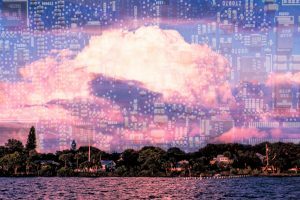 How Will Cloud Computing Benefit My Southwest Florida Business? SJC Technology Inc. > Blog > Articles > How Will Cloud Computing Benefit My Southwest Florida Business? With the many advances in technology, businesses of all sizes, industries, and geographies are turning to cloud computing services. Cloud computing offers your Southwest Florida business many benefits. Understanding the advantages of cloud services can help you get the most out of your business technology. Gone are the days of having to own and maintain your own server hardware or software. By moving your company’s data to the cloud, you can save substantial capital costs with zero in-house server storage and application requirements, which means less maintenance and power costs. Instead of spending money to maintain hardware that often goes unused, outsourcing your IT support can help you avoid wasting your valuable resources on such matters. Whenever your needs increase, it’s easy to scale up your cloud capacity, drawing on the service’s remote servers. As your business IT needs isn’t tied to physical server capacity, one can choose from a range of delivery mechanisms or applications and features on a monthly basis depending on the company’s demands. When running any business, it can be a challenge to predict what resources your business will need to scale and take advantage of opportunities. With cloud resources, you can react to needs as they arise and use what is required to manage your growth and enhance your efficiency. With cloud computing, employees, partners, and clients can access information whenever they want from any location as long as there is an internet connection. Your team can edit and share documents regardless of where they are in the world enabling them to do more together and do it better. Cloud services are a lifesaver for business owners and employees who frequently travel on business to visit clients and prospects in person. Is your business located in a flood zone or prone to natural disasters like hurricanes, severe lightning storms, earthquakes, etc.? Cloud computing ensures that your data is safe as your information will be remotely stored in the cloud provider’s data center, making it easier to establish disaster recovery plans. You won’t have to worry about losing clients’ files even if your business burns to the ground. You’ll be able to deliver continuity to customers and clients because you can recover from any natural disaster much faster. With server management left to an experienced IT provider, your business can deliver results faster, cheaper and with more quality, giving your company an edge over the competition. Outsourcing your IT operations to a cloud computing vendor allows you to focus on your key business activities and objectives that may offer a greater potential value to your business. Data theft is real and can be quite frustrating. Many businesses aren’t immune to malware, hackers, and viruses. A Cloud-hosted software can significantly minimize security risks by storing data safely on hosted secure servers instead of your on-site server room. When your data is stored in the cloud, it is protected by experts whose job is to stay up-to-date on the latest security threats so that it’s never compromised. If you want to learn more about cloud computing for your Southwest Florida Business, please feel free to contact us.